Way back when (in June), when we were attempting to raise $35,000 for our adoption, we had ourselves an auction/dinner at our house. I've been wanting to post about this event for a while now, because it was the fundraiser that brought in the most money for us. I thought I would share some of the details, in case anyone wants to do something similar in their own fundraising endeavors. We figured this auction would bring in about $2,000, but in my little dream world, I secretly hoped it would bring in closer to $5,000. We hosted dinner in our backyard. We asked a couple different Chick-fil-A franchises to donate food, and they were so generous to provide enough to feed 100 people! For dessert, I made a couple different kinds of cupcakes. 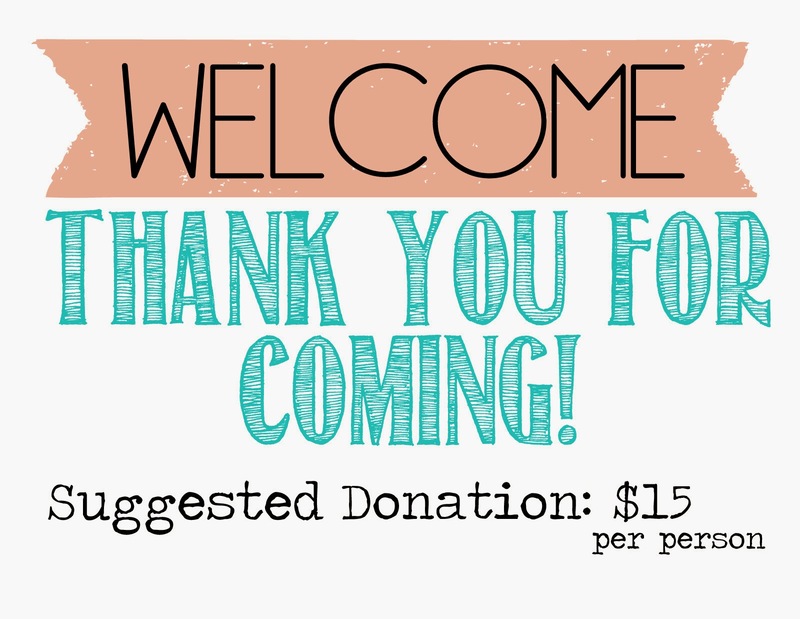 We had a suggested donation of $15 for the dinner. We just left a little basket on the table next to this sign and let people drop in money if they wanted to. Our friend Wes is an amazing DJ, and was kind enough to offer his services for the party. I designed this bid sheet to put with each item. I just wrote in the item name, the value, the starting bid, and what the bids had to increase by. The auction was open from 7-9pm. It was actually so much fun to see people strategizing and outbidding each other. People got really into it. I also ended up setting up all the stuff I sell at boutiques in our dining room. It was not a part of the original plan, but it made sense. I just put a little box on the table in case people wanted to buy anything. I ended up selling ALOT, so it was a good addition. We had such an incredible turnout. There were so many more people than we expected there, some I had never even met. People ate, socialized, stayed late, and gave generously. At the end of the night, we announced the winners. 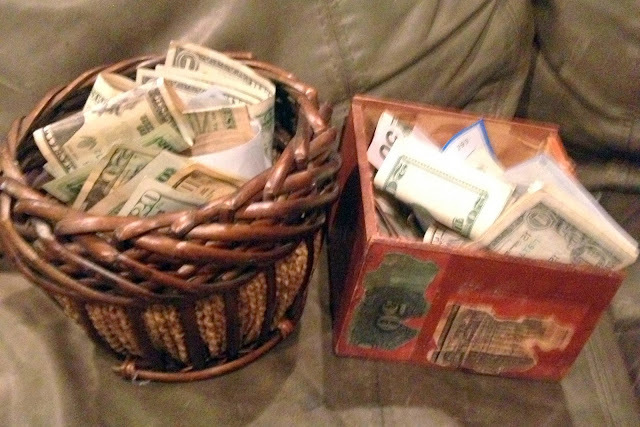 Then, we had all this money to count. Far exceeding our expectation and my wildest dreams. Bottom line: God is good and we have incredibly generous people in our lives. It was an AMAZING night! Ask for food donations. It is so much easier to not have to worry about making food. If you can't get it donated, try to do it potluck style so you aren't spending lots of time/money preparing food. Invite anyone and everyone you know. We sent out a letter and invited all our friends. We also posted it on facebook and shared about it with our church. We even let our friends invite people. Delegate. Figure out the different things that need to be done throughout the night, and assign different people jobs. 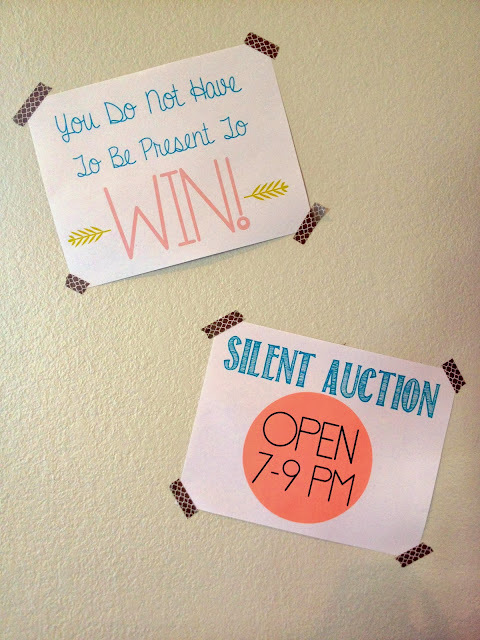 Have someone oversee the silent auction. People can direct questions their way, since you will most likely be pulled in a million directions. You can also have someone keep track of the food table to refill anything, someone to do trash duty, someone taking pictures, etc. 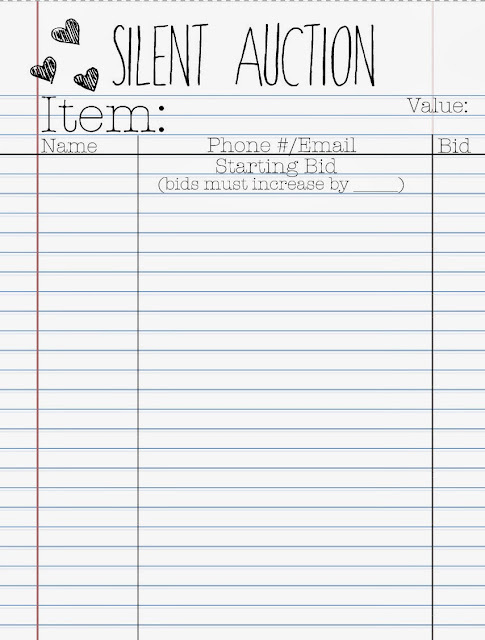 It would also be helpful to have someone that manages the items and money that get exchanged at the end of the auction. We did not have someone do this, and things got a little confusing at the end....it obviously still worked out. If you have other fundraisers that you are doing, like selling things, consider putting that out too. That's all I can think of for now. 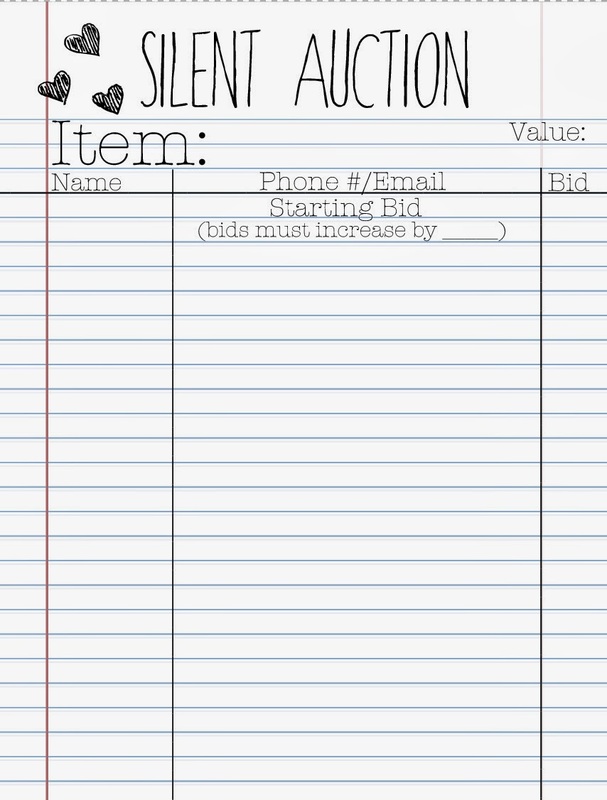 If you have any questions or if you want any of the signs or bidding sheets for your own auction, feel free to email me. In the near (hopefully) future, I'm going to write a post breaking down all the things we did to raise the $35,000 for our adoption. But really it wasn't us. It was God. How else can anyone raise that much money in 3 months? What a blessing to receive these gifts from so many people. I hope that in your fundraising you came to know God in a knew and exciting way. I know that I always do each and every time we do it. Continued blessings on your family. 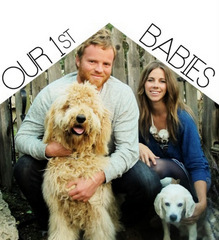 Thanks for the inspiring blog! My question is how did you go about getting donations? I am really a little overwhelmed with asking people to donate. We posted it to Facebook and Instagram and we sent out a letter to friends and family. It was amazing to see how many people wanted to help. We had people we didn't even know offering donations. It was awesome! I LOVE this post! Thanks to you I am now in the middle of planning my own adoption auction. Thanks so much for taking the time to post this! Hey Amber! I'm so glad this was helpful for you! I pray you have lots of success with yours…and lots of fun too! Great work! We did one of these, too, along with music and brought in a ton of money for our own adoption from DRC. (I have a guide on my blog at http://www.honeybunchesoflotz.com/p/fundraising.html if anyone is intereseted.) This looks so fun...loved your boutique stuff, too!! After reading your post about this auction, I have decided that I want to do an auction myself for our Adoption Fundraising. I have always wanted to do something fun that everyone could attend and participate in but never really found the ONE thing that I thought would be perfect! Well, I no longer have to think; HERE IT IS :) Thank you so much for sharing your ideas with us! Yay! I'm so glad this was helpful for you. You have to let me know how your event turns out. I am praying that it is a huge success for you! On some of your items did you have a starting bid? 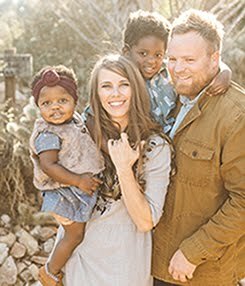 We are starting adoption #2 from Haiti and wanting to try this. this action can be through the internet social networking site with a professional auctioneer or even with one of the site members hosting the buy antique clock.